Ubuntu Maverick has come out for two days,if you have this brand-new release installed or updated,and suppose to install Chromium browser,keep reading and this simple tutorial may help you. 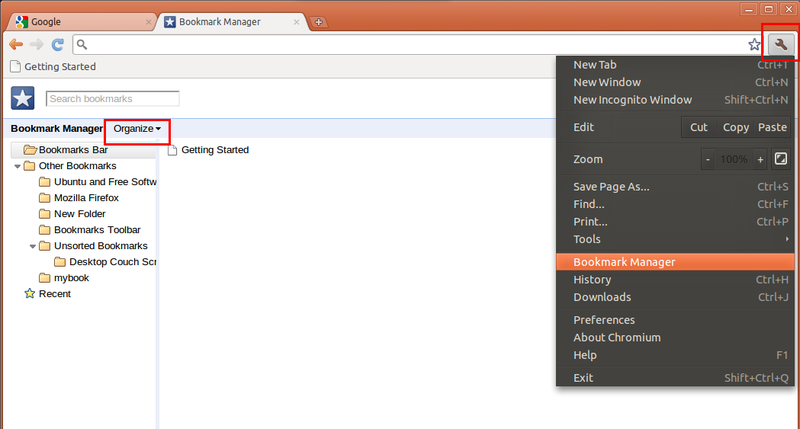 Finally,launch Chromium from Applications -> Internet menu.Open “Bookmarks Manager” and click “Organize” to import bookmarks. 10 users responded in " Install Google Chrome (Chromium) browser in Ubuntu 10.10 Maverick "
Chromium browser is also available in Ubuntu Software center. Can you install the Chromium browser along with Google Chrome? Will there be any conflict? Thanks! Worked like a charm!!!!!!!!!!! Nice! Works for me! Thank you. 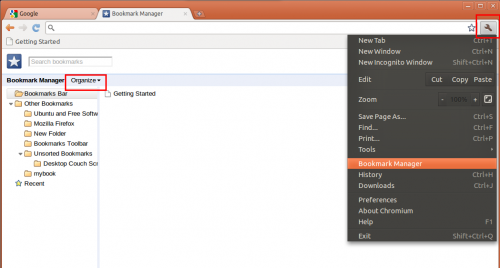 I can’t import my bookmarks from firefox in ubuntu 11.04… It’s not working. I goto Google wrench.. then click import from another browser.. nothing.. Thank you very much. It worked very well. Firefox is not working any more for my ubuntu !